The place of these two catechesis in the numbering suggests that they may have been given during the 4th week of Lent. That this Pascha is a type of the future and eternal Pascha; and about endurance and courage. Brethren and fathers, Lent is already galloping past and the soul rejoices at the imminence of Pascha, because by it it finds rest and is relieved of many toils. Why did this thought sound for me in advance? Because it is as if our whole life directs its reason contemplating the eternal Pascha. For this present Pascha, even though it is great and revered, is nevertheless, as our fathers explain, only a type of that Pascha to come. 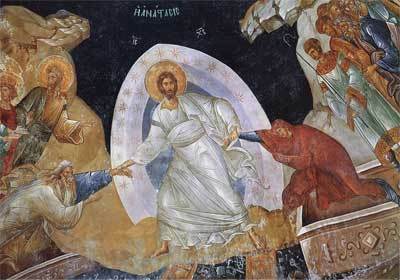 For this Pascha is for one day and it passes, while that Pascha has no successor. From it pain, grief and sighing have fled away; there everlasting joy, gladness and rejoicing; there the sound of those who feast, a choir of those who keep festival and contemplation of eternal light; where there is the blessed breakfast of Christ and the new drink of which Christ spoke, I shall not drink of the fruit of this vine, until I drink it with you new in the kingdom of my Father. Of this he spoke to his disciples when he was about to ascend to heaven, I am going to prepare a place for you and, if I go, I will prepare a place for you. I am coming again and I will take you to myself, so that where I am you maybe also. And where I am going you know, and the way you know. And a little further on, On that day you will know that I am in the Father, and you are in me, and I am in you. And elsewhere, Father, I wish that where I am they may be with me also, so that they may see my glory, which you gave me, because you loved from before the foundation of the world. But because this concerns not only the Apostles, but also ourselves, he also said, I do not ask this only for them, but also for those who through their word believe in me, so that all may be one, as you, Father, are in me and I am in you, that they may also be one in us. What could be more comforting than these words? What could be more appealing? What soul can they not soften? What heart not prick with compunction, even should someone say that the human heart is a nature of stone? With thoughts like these the saints bore all that they bore, considering afflictions as joys, constraints as freedoms, struggles as delights, harsh training as relaxation, deaths as lives. 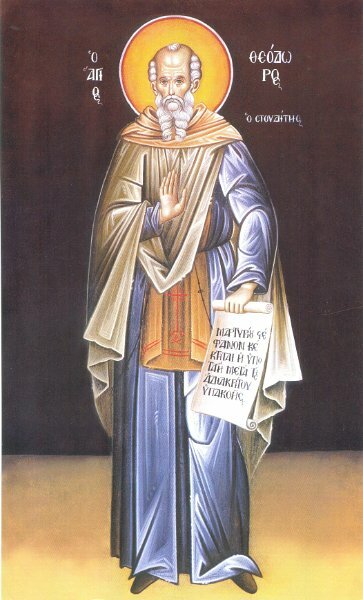 I beseech you, my brother, should not we also, since we have the same aim and seek the same Pascha, bravely and courageously bear our present condition, not falling, not succumbing to despondency, but rather roused with greater fervour watching for the wicked serpent who works to deceive us by the passions, transforming himself into an angel of light,and altering things from what they are; show dark as light, bitter as sweet. This was how he ensnared our forefather, bewitching his sight and depicting as beautiful what was not, and as a result through food casting him out of Paradise. But let us, who have learned by experience what a deceiver he is, not leave the paradise of God’s commandments, nor, when he indicates to us that the fruit is beautiful, let the eye of soul or body be directed there, otherwise we are being caught in the snare. But let us flee by every means from looking. What the is the fruit which seems beautiful? The love of the flesh, the evil lust of every one of the destructive passions. If we avoid experiencing them, my brothers, we shall be saved and easter to age on age, with all the Saints in Christ Jesus our Lord, to whom be glory and might with the Father and the Holy Spirit, now and for ever, and to the ages of ages. Amen. Isaias 35:10. The phrase is familiar from the prayer for the departed. Cf. Psa. 42:4, where the Greek has a singular. The same phrase is found, but with the plural, in the prayers after Communion. The Greek has koinon, ‘common’, but the word should be kainon, ‘new’, as the following citation makes clear. There is also an echo of the Paschal canon, ‘Come, let drink a new drink’ (poma kainon). It is difficult to reproduce the play in Greek on stenochoria and evrychoria. St Theodore uses a very rare verb paschazein, and temptation to follow G. M. Hopkins and use ‘easter’ as a verb is irresistible. 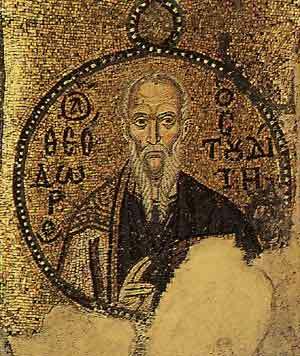 The only reference in Lampe is to St Theodore’s contemporary Theophanes, who uses it of the Quartodecimans, who ‘easter’ with the Jews. That to feast each day and to “easter” to the Lord God consists in the death the passions and the resurrection of the virtues. 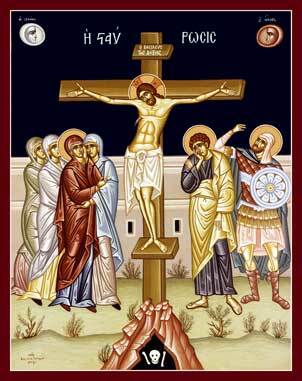 Brethren and fathers, the day of Pascha is drawing near, since with God’s help we have passed the mid-point of the fast. But are we pressing forward to reach the Pascha that comes and goes? Have we not achieved this year after year? The present Pascha too will pass, for there is nothing lasting in the present age, but, All our days pass like a shadow, and our life travels like a rapid rider, until it has driven us to the final boundary of life. ‘What’, someone says, ‘is Pascha not to be desired?’ Of course, it very much to be desired. How could it not be? But we accomplish Pascha every day. And what is this? Cleansing from sins, contrition of heart, tears of compunction, a clean conscience, the death of the parts of us that are earthly: immorality, impurity, passion, evil desire, and any other evil that is at work. One who has been found worthy in all this does not “easter” and celebrate a much longed for feast to the Lord just once a year, but, we may say, does so each day. Someone, on the other hand, who does not have all the foregoing, but is held fast by the passions, cannot celebrate. For how can someone celebrate whose god is their stomach? Or who is aflame with fleshly lust? Or melted by the heat of jealousy? Or drowned by the love of money? Or enslaved to vainglory? Or caught up by the other passions. No one could possibly say that someone with a high fever was at rest, or that someone shipwrecked was making a good voyage. It simply isn’t possible. It is impossible for someone who has become dark to be enlightened, or for someone possessed by sins to celebrate. But for you, brothers, we are confident of better things, ones that promise salvation. For our way of life is nothing other than preparation for a feast. Look at the reality: psalmody succeeds psalmody; reading, reading; study, study; prayer, prayer, like a wheel drawing us and joining us to God. How truly excellent is this way of life, how supremely excellent! How blessed this life and thrice-blessed! So then, since we have been shown the sought for Pascha, my honoured brothers, let us make it our aim, and, as far as we can, celebrate it every day, through the death of the passions and the resurrection of the virtues, in imitation of the Lord, because he too suffered for us, leaving us an example that we should follow in his steps. And I say this, not so we become judges of the others —for each has their own load to carry—but so that, conscious of the grace that has been given us by God, we may give thanks to the giver, glorify the benefactor, repay the master, who has not only granted our present blessings, but also, to those who genuinely serve him to the end, he will also give those that are in his promises, that eternal and heavenly Pascha. May we all attain it, by the grace and love for humankind of our Lord Jesus Christ, to whom be glory and might, with the Father and the Holy Spirit, now and always, and to the ages of ages. Amen. The ordinary Greek word for ‘preparation’, paraskevi, in Christian Greek also means Friday, in particular Good Friday, the ‘preparation’ for Pascha. 1 Peter 2:21. The critical editions have the second person throughout.